We are delighted to welcome the opening of the XIII Defence Equipment Exhibition “HEMUS 2018”. The exhibition has more than 20 years of history and has established itself as an authoritative event for presenting the latest products and technological achievements of Bulgarian and foreign companies and scientific organizations working in the interest of defence and security. At the same time, with its comprehensive rich program the exhibition has also evolved as a forum that brings together producers, potential buyers, investors, military and industry experts, and gives the opportunity to exchange ideas and experiences in different formats and to discuss current trends in developing the necessary defence and security capabilities. I would like to point out that this year’s edition of the HEMUS Defence Equipment Exhibition is being held in a context that is particularly relevant for Bulgaria, which is related to the Bulgarian Presidency of the Council of the EU. This coincidence from our point of view is a remarkable opportunity to present Bulgaria’s industrial and technological defence capabilities, but it is also a good reason to present to a wider and more interested audience the latest EU policies aimed at strengthening the industrial cooperation between EU Member States in the field of defence and security in order to build a competitive European defence technological and industrial base. The efforts of the competent Bulgarian institutions are now concentrated in this direction. The main objective is the adoption of the Regulation of the European Parliament and of the Council establishing the European Defence Industrial Development Program (EDIDP). From industry perspective, this is an important and anticipated step and the envisaged incentives provide real prospects for preserving and enhancing the competitiveness and innovation capacity of the industry, serious technological progress and enhanced European industrial and scientific cooperation in the process of developing the desired defence and security capabilities of the EU and NATO. We look forward to fruitful discussions, new ideas and active participation by the industry on these issues during the events accompanying the exhibition – the Industrial Forum on “Defence and Industrial Cooperation in the European Union – New Opportunities for the European Defence Industry” and the Scientific Conference on “Research, Innovation and industrial cooperation in the interest of the common European defence and security”. It has been repeatedly noted that the defence industry is important not only as an element of the national security and defence of our country, but also as a sector of the economy, which provides serious revenues and highly qualified jobs. We are pleased with the progress in economic activity, the stable development of defence industry enterprises, and we greatly appreciate the continued commitment to developing production capacities, expanding and refining the range of manufactured products, introducing modern technological and innovative solutions, quality approach and a flexible approach to meeting the individual needs of each individual customer. The efforts of the government and the industry are united aiming at supporting the development of the Bulgarian defence industry as part of the European defence industrial and technological base, increasing the innovation capacity and the participation in EU and NATO programs and projects and also in the implementation of national projects and the realization of products and services for the national armed forces. 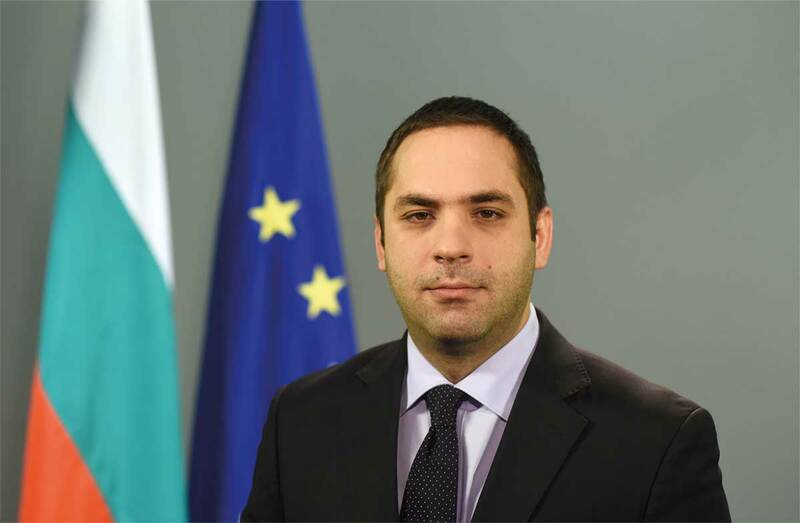 From this point of view, the Ministry of Economy strongly encourages cooperation between Bulgarian and European companies, actively promotes the establishment of long-term industrial cooperation in the Euro-Atlantic area, supporting serious investment intentions in the areas of defence and security and in the modernization of the armed forces. For us, industrial partnership is a vital tool for preserving and developing existing or creating new key capabilities. The Ministry of Economy is also committed to providing the necessary prerequisites for successful long-term cooperation and development in the defence industry field and therefore we have the priority tasks to improve the business environment, relieve the administrative burden on business and promote investment and innovation in the defence sector and security. I wish success and fruitful business meetings to each of the exhibitors, successful work at the accompanying events of the international exhibition “HEMUS 2018”!